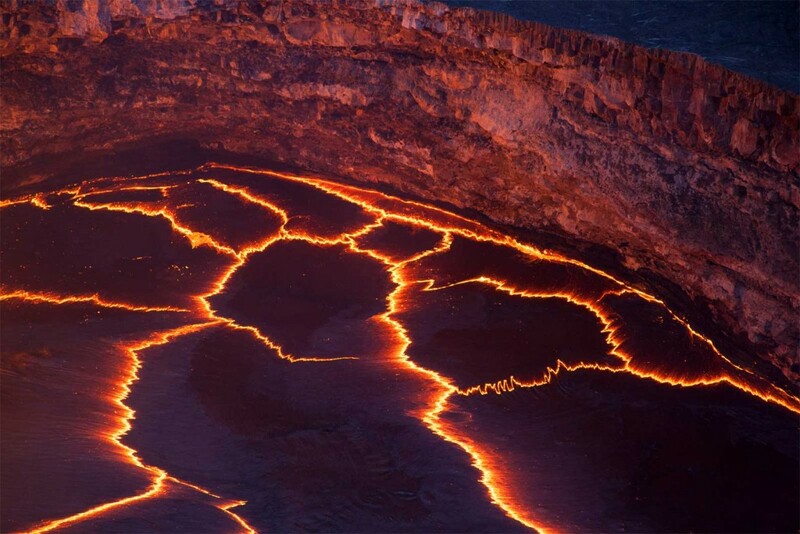 On the Big Island of Hawaii, we are blessed to see the orange glow of liquid rock bursting forth from lava-filled tubes flowing from summit to sea. 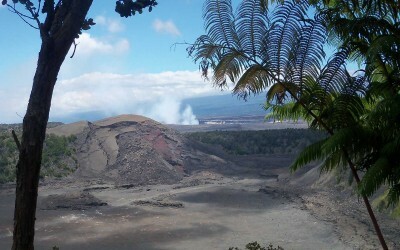 In recent years, a new hole was blown into the floor of the Haelma’uma’u Crater that has since become ever more active with displays of light. For a sense of scale, the cliff wall in this picture is over 100 feet tall. 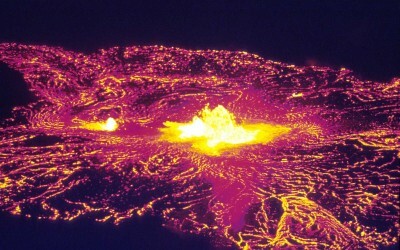 Call it the power of Pele, the internal workings of the earth, or what you will. We will call it awesome.